Interior Inspiration: A Relaxed, Masculine Home | Valet. Christopher Bastin, who recently stepped down from his position as creative director of Gant, is known for his style and love of interiors. He helped create the enviable environments found within Gant Rugger stores using reclaimed materials and vintage fixtures. 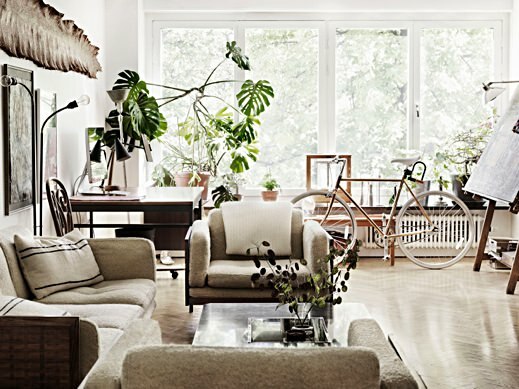 So it's not all that surprising that his home in Stockholm, Sweden is just as cool and cozy. 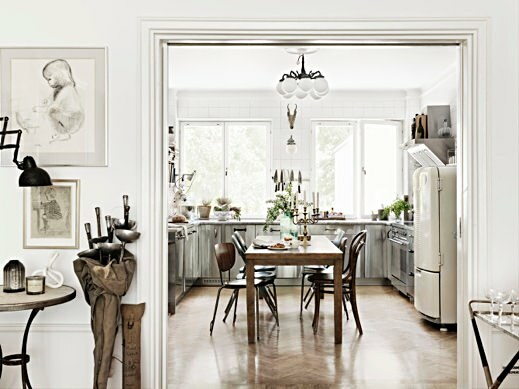 Here are a few takeaway ideas from Bastin's place that you can incorporate into your own home. Unify an area with a relaxing palette. The warm beige colors in the living room give the space a light, open and airy feeling. A collection of furniture from different eras and a wall of framed pieces along with a stretched snake hide illustrates what speaks to Bastin's tastes. Invest in the room you love the most. "If I could, I'd sleep in my kitchen," says Bastin. 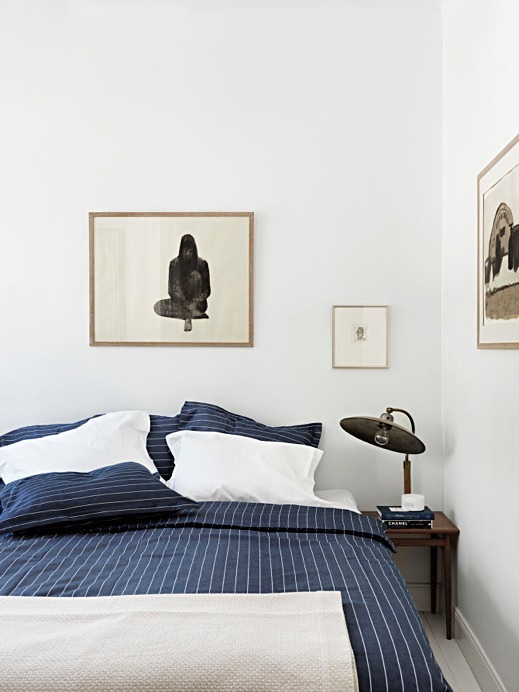 A few pieces of art, a handsome lamp on the nightstand and good linens like this navy striped set are all you really need. Resist the urge that everything needs a bold paint job. 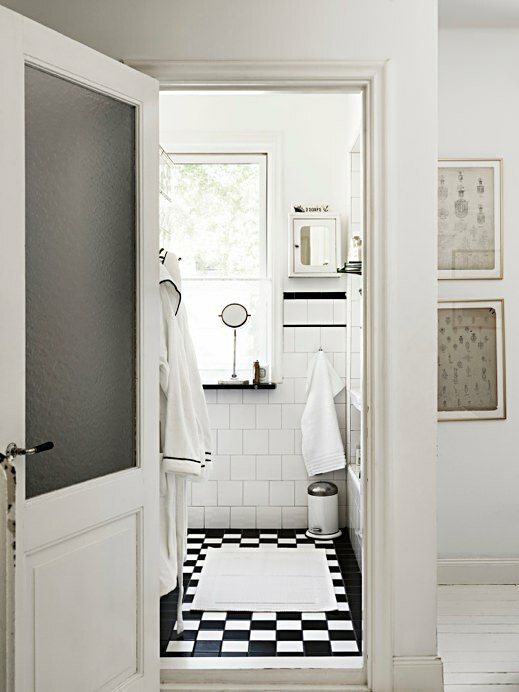 A crisp black and white vibe in the bathroom is classic because it will always be in style. Back in 2010, Bastin gave us a tour of the first Gant Rugger store.